NASA is offering some of its shuttle main engines for anywhere between $400,000 and $800,000, not counting shipping costs. CAPE CANAVERAL, Fla. — NASA's soon-to-be-retired space shuttles are up for grabs. 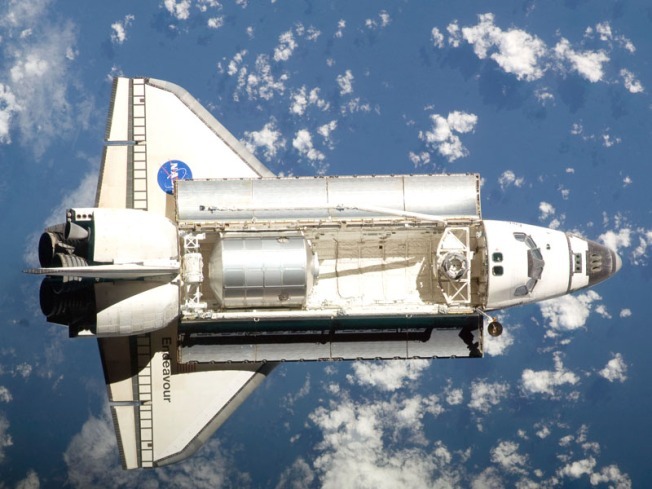 The space agency said Wednesday it's looking for ideas on where and how best to display its space shuttles once they stop flying in a few years. It's put out a call to schools, science museums and "other appropriate organizations" that might be interested in showcasing one of the three remaining shuttles. "The orbiters will not be disassembled for transportation or storage," NASA insists in its nine-page request for information. One space shuttle appears headed to the Smithsonian Institution's National Air and Space Museum in Washington. The remaining two would be placed in storage at Kennedy Space Center until their final homes are decided. If a space shuttle is too pricey, NASA is offering some of its shuttle main engines for anywhere between $400,000 and $800,000, not counting shipping costs. The space shuttles, so you know, will not come with any main engines. NASA plans to retire Discovery, Atlantis and Endeavour by Sept. 30, 2010, in keeping with President George Bush's initiative calling for a return by astronauts to the moon by 2020. A transition team set up by President-elect Barack Obama is reviewing all the options, however, including the possibility of keeping the shuttles flying beyond 2010.